I think this comic describes an attitude we should all bring to the task of biblical and theological studies. We develop our theories, form conclusions and forget that we just might be wrong. 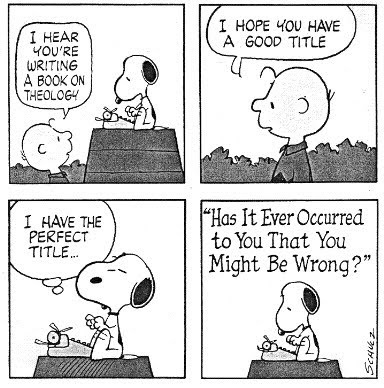 I think we could all learn something from Snoopy. Hey! I resemble that remark!